Website design and development is a complex task, and web developers have to approach it by focusing on various technical aspects such as codes, wireframes and content management. Also, it is essential to know that a great website is not just about adding impressive visuals or social media buttons. The ideal approach to website development and design is one that goes beyond aesthetics. The objective is to follow a holistic website design and development process. Wondering how to go about it? Here are three crucial steps to follow. Before building a website, it is crucial to know its purpose, target audience, the kind of content required and goals that the business aims to achieve through it. The planning starts after experts gather all these details. First, a sitemap gets created, and it comprises of all the main topics and sub-topics on the site. The sitemap works as a roadmap. The focus should be on developing a user-friendly and consistent navigational system. You should keep your customers (end-users of the site) in mind when designing and developing the website. As these are the people, who would be browsing your website to know more about your product or service and ultimately decide to buy it. With a stable user interface, your website becomes simple to navigate. Furthermore, during this stage, web designers must decide which technologies they want to use including the content management system such as WordPress or any other. The basic structure of the site should be chalked out in the planning stage. The design stage is where the look of the website gets decided. Designers rely on data gathered from customer and competitor analysis to arrive at critical decisions. All the design elements such as website layout, color scheme, company logo placement and content require proper thought and consideration. These elements will enhance your brand identity on the website. Website developers and designers usually have more than one prototype designs for the site. Typically, it is a .jpg image of the final web design. Few designers share this through an email. In some cases, the site owners are given access to a part of the site while it is still under development. It allows them to check the basic structure and approve of it before work progresses. The owner of the site has a crucial role to play in the design phase. He or she is responsible for helping the designer to grasp the brand message so that it can be efficiently delivered through the site. Designers may have to make several modifications to accurately depict the client’s ideas before the design gets finalized. During the design phase, seamless communication is essential between a client and designer. Both need to work in complete co-operation, exchange web development ideas for the successful creation of the site. Today, expert web design companies such as BigDropInc.com can help you get the website that your business needs. In the development phase, web designers incorporate all the unique graphic elements and utilize the same to create correctly functioning site. The process starts by creating the home page first. After that, a “shell” is built for all interior pages. This shell acts as the template for the site’s content pages because it has the website’s primary navigational structure. After this, web designers can disseminate the content all across the website. Other elements such as interactive contact forms, the choice of CMS and the e-commerce shopping cart are added to make the site functional. The development stage is all about the technical aspects. Here, it is essential for web developers to know the front-end web development as well. It comprises of writing valid HTML/code which adheres to the present website standards. It increases the functionality and accessibility for the audience at large. Java: It is one of the popular programming languages available today. It gets utilized for creating service-side applications, mobile apps, and even video games! It also forms the basis for developing Android applications. That is why it is a top choice for all programmers. Java comes with WORA or “write once, run anywhere quality,” which makes it portable. It can efficiently run anywhere on various software platforms. Python: Best defined as a one-stop shop, Python is a framework for data analysis. Various popular websites are written using Python. Many expert programmers find it to be the most user-friendly programming language. It has an easy syntax. Surprisingly, over the past decade, this programming language has risen to prominence owing to Google’s investment in it. Two of the famous sites that use Python are Instagram and Pinterest. Ruby: Popularly called Ruby on Rails, this is a massive supplier of website applications. This programming language is famous because it is easy to learn and it offers great power. There is a huge demand for Ruby on Rails developers today. PHP: Hypertext Preprocessor is utilized in combination with active, data-heavy sites and application development. This programming language provides much power and is the core of leading sites like Facebook and WordPress. The fact that PHP is open source is what makes it a top choice for many programmers. Hence, you can access it and change it to arrive at your desired result. The other popular programming languages include JavaScipt, C++, Perl, C#, Up and Comers, Objective-C and a many more. Both design and development play a critical role in determining whether a site will fare well in the market. 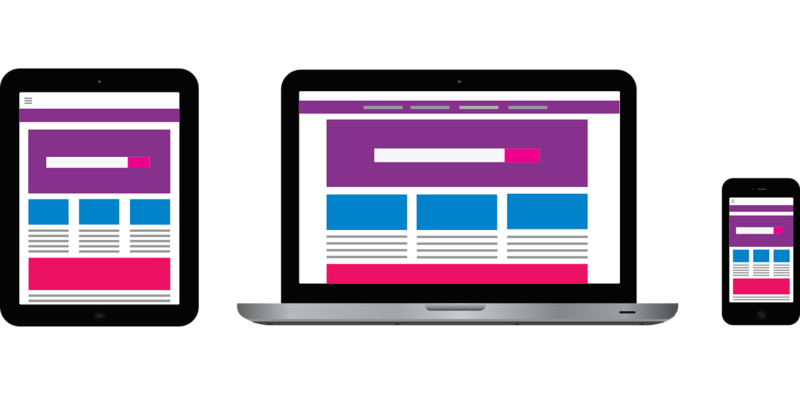 There is no dearth of websites on the web today, which is why web developers need to make their sites stand out so that users are compelled to visit. If you want to develop a website, but do not know how to approach this mammoth task, you can divide it into three stages as mentioned above.